We love trying new things every day, whether it is foods or beauty products, different tastes and looks make everyday exciting! On today’s menu, I decided to try David Mallett hydrating hair care. 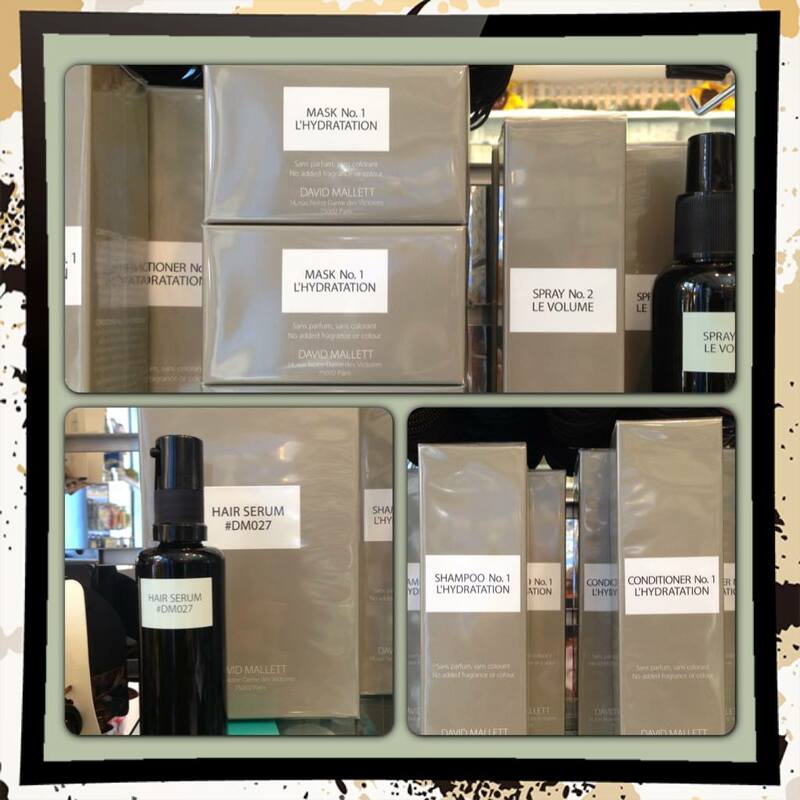 David Mallet hair products are new to Thompson Alchemists. It was one of our loyal clients that recommended David Mallett hair care to us. Thank you Allison we love the line! David Mallett’s Hydration line adds moisture to normal & dry hair without adding weight. There are 3 products: shampoo, conditioner and a mask, that are fragrance free and wonderful for sensitive skin. The shampoo is for all hair types and works really well on hair that is over treated or if you blow dry frequently. The conditioner penetrates deeply into the hair, locks in moisture makes your hair strong and hydrated. It is made with vegetable protein and again I repeat doesn’t weigh down your hair. The mask needs to be left on for 5 minutes to work correctly. It is for hair that needs maximum moisture that is practically everyone! I used the shampoo, conditioner and mask today. My hair looks amazing, very light, and great shine. A very healthy French treat leaving my hair light, bouncy revitalized. Great way to start my day!